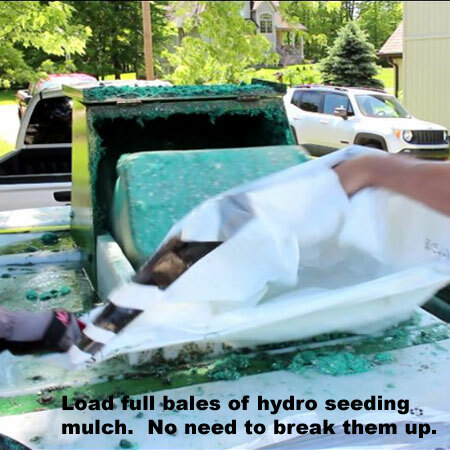 Turbo Turfs HM-1000-HARV hydroseeder is loaded with features others don't have. The HM-1000-HARV, is a 1000 gallon hydroseeder with mechanical (paddle) agitation. It is available as both a skid type and a pull type system. It will seed 13000 square feet per load. It is equipped with an 27 H. P. Kohler Command Pro electric start engine, a hydraulically driven paddle agitation that is reversible and also has adjustable speed. It has a hydraulically driven reversible Bowie gear pump. 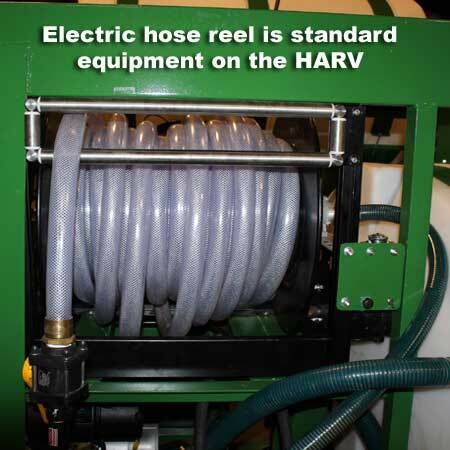 HARV is one of the best units for those who need to use difficult hydroseeding materials. 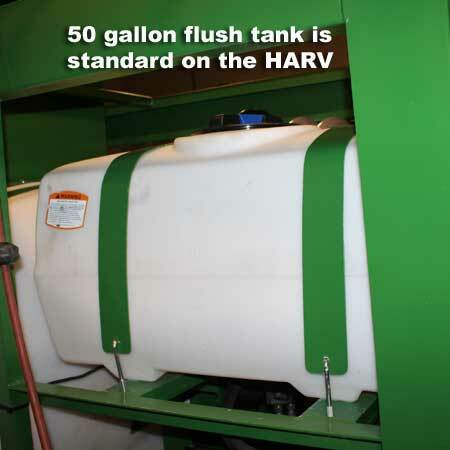 The HARV will handle up to 400 pounds of paper mulch and up to 350 pounds of 100% virgin wood fiber mulch It will pump through 300′ or more of hose. 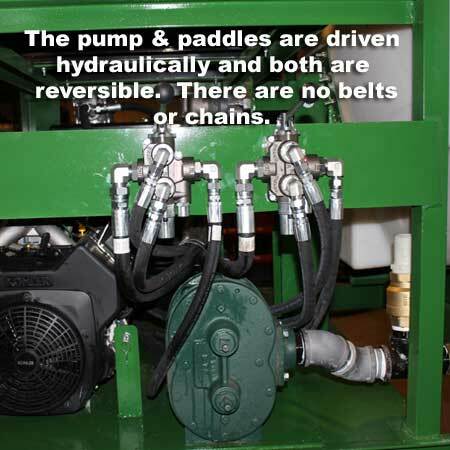 It is capable of self filling from a pond or a stream with the optional fill hose. 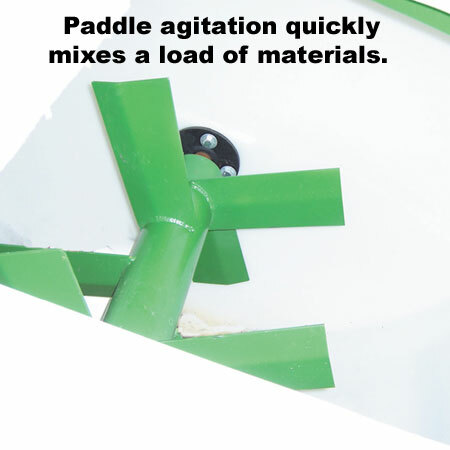 Mixing is mechanical with an aggressive 16 paddle agitator. 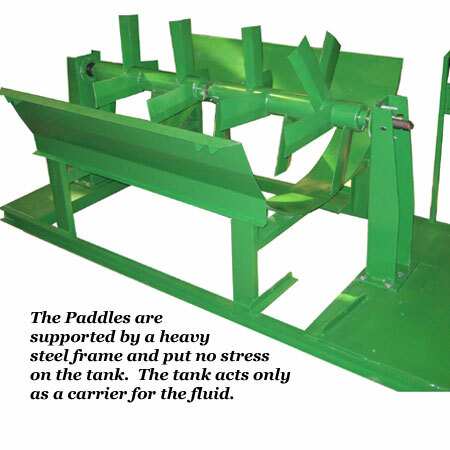 A major advantage of the unit is the poly tank. 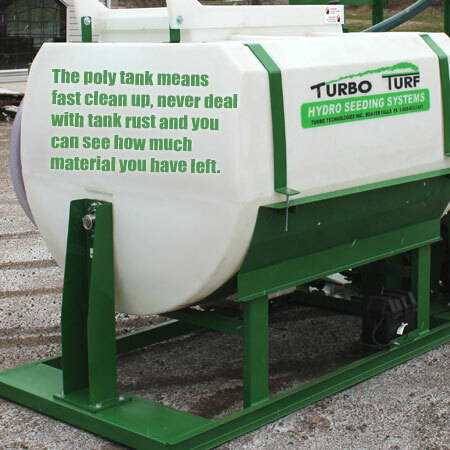 Poly tanks are totally rust resistant. 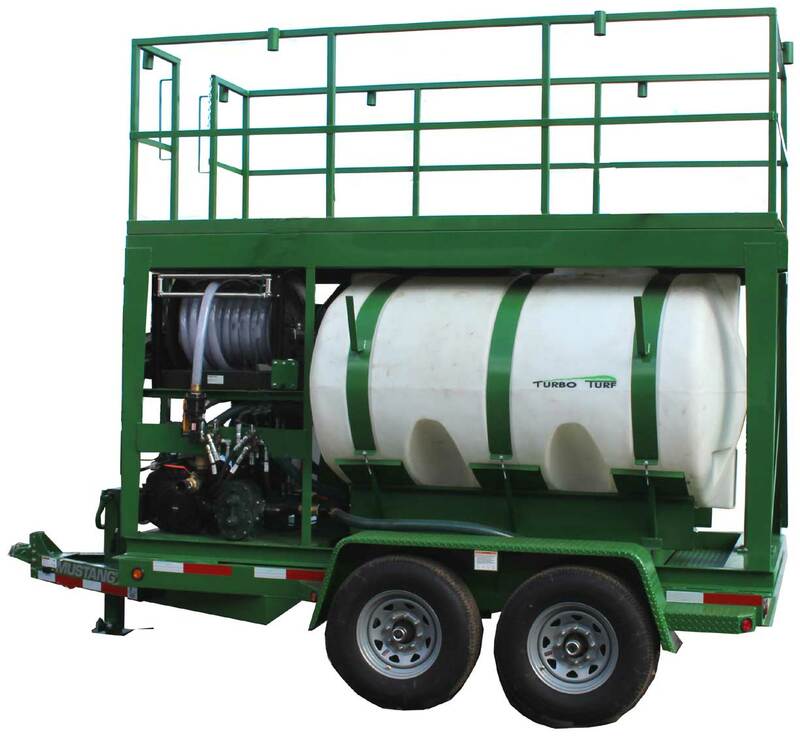 One of the major problems with mechanical hydroseeding units or hydro mulching units is their susceptibility to rust. Even with a stainless steel tank rust is an issue and will start in the welds. 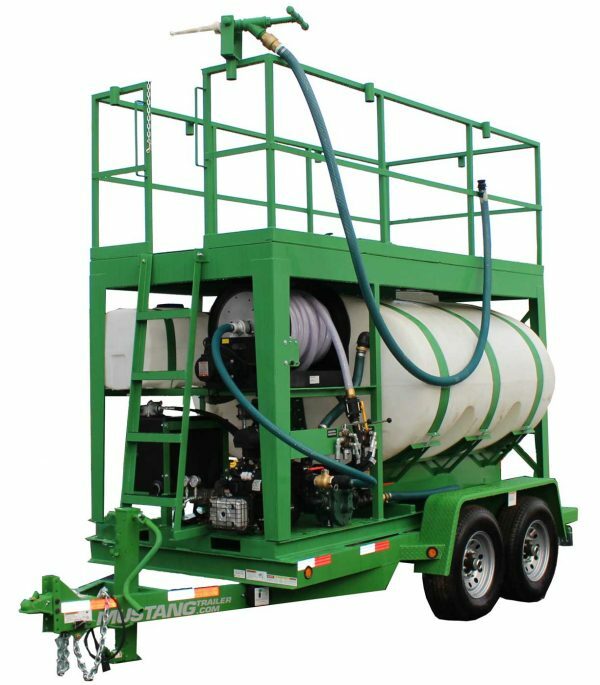 The HM-1000-HARV comes with 100′ of 1 1/2″ discharge hose with free flow couplings, a gun and three nozzles ( 1 wide hydro seeding nozzle, 1 straight distance nozzle, and 1 trim nozzle), The empty weight of the unit is 2800 pounds. the loaded weight is 10800 pounds. the physical dimensions are 88″W x 150″L x 125″H. 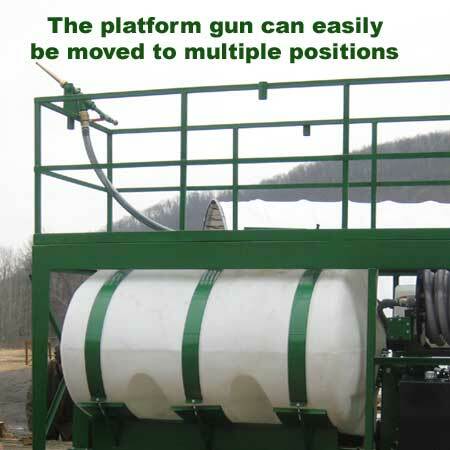 The size of the skid frame on this unit is 88″W x 150″L. The HM-1000-HARV is ideal for doing residential and commercial seeding, roadside work, erosion control work, and any hydroseeding job Full bales can be loaded into the units. Mixing time is 2 – 20 minutes. Discharge distance with the straight nozzle is approximately 60′. The spray distance with an Area/Volume kit or the 2″ cannon) is 90′.